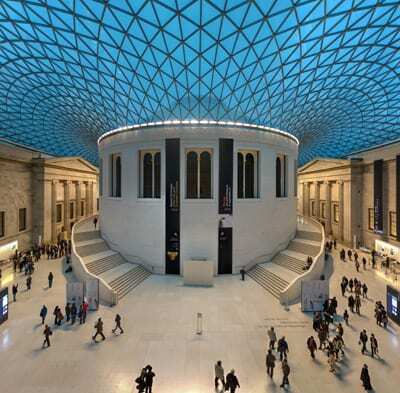 National museum curators in institutions such as the British Museum or National Gallery manage particular collections. This is where you find curators of specific periods of time or expertise, and you can find some pretty interesting job titles – ‘Curator, horological collections. Especially Blackforest, French provincial and American clocks’ or ‘Senior Curator, Parasitic Worms’ are just two examples. They have a say in what goes in that collection, and what it gets used for, however they share the role of looking after the collection with a variety of other museum professionals – such as collections managers, registrars, documentation officers etc. Their main area of responsibility is research into the collection – some institutions still insist on the curator publishing a minimum number of academic papers or presenting at conferences each year. 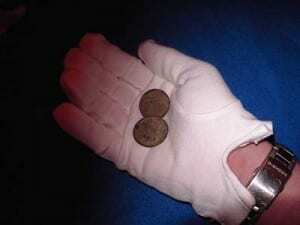 From what I can tell those jobs are like gold dust, and much sought after. Who wouldn’t want to be a curator at a world famous museum with an internationally important collection? For this type of curator a PhD seems very important, if not essential, and with changes in academia (such as more focus on teaching and public engagement) these institutions are sometimes a refuge for esoteric knowledge and the super specialist. The British Museum Great Court. Another type of museum is the large local authority or trust museum. Here a curator may traditionally have been responsible for one collection, and research into it, however more and more they are now responsible for a range of collections, leading to the dreaded ‘non specialist curator’, and are unlikely to be able to conduct their own research during work time. This is perhaps understandable when it’s considered that their job likely includes helping with exhibitions, collections care and management, supporting the learning team, giving talks to local societies, meeting elected Councillors, etc etc. In fact a curator here might be responsible for a number of different roles which might be filled by several different people in a national museum. In smaller museums, again likely to be local authority or independent, a curator can mean all of the above, but with smaller teams of people helping. There might not be an exhibitions team, or there may not be another curator so they will be looking after all the collections. 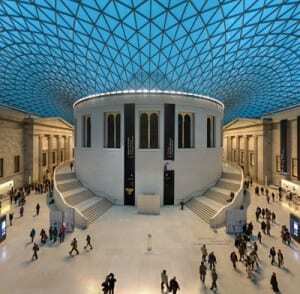 They may need to manage the museum or a range of historic sites, and can also be responsible for front of house work or similar. 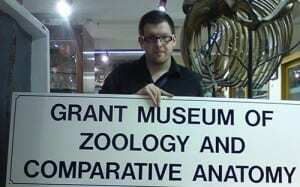 Just one of many jobs you might get to do as a curator (Image from Wikipedia). In some of the smallest museums with one or two paid staff, a curator can be responsible for pretty much everything, and here the word ”manager” might be more accurate. While I was studying for my Museum Studies MA we visited one museum like this where the curator was responsible for pressure washing the outside of the building as well as opening up in the morning, stocking the coffee machine, and so on. Then there are also volunteer museums, which conversely can have lots of curators. There the title ‘curator’ can perhaps be an honourary thing, or be given to volunteers whose specific jobs are to care for the collections. Often in these museums the title ‘curator’ can have a certain meaning behind it that people take pride in. 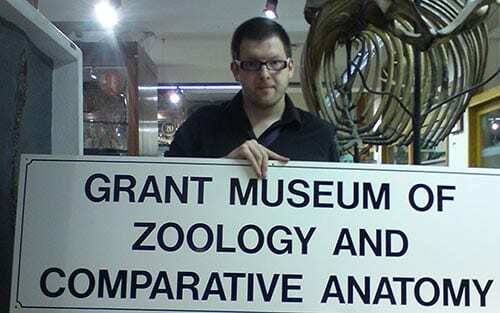 A UCL Curator with a sign. University museums are another thing again. I’ve been told that my title as ‘curator’ was chosen because it carries some meaning with academics I work with. A ‘collections manager’ is a hard concept to get for someone who doesn’t know museums, and curator is vague enough to convey a variety of jobs. As a result of being part of a university we tend to be much more involved in teaching with our collections than the other types of curator, although exhibitions, researchers etc are still a big part of our jobs. Each of the public museums at UCL has a curator, some with a PhD and some without, and I am one of two curators who look after the non-public Teaching and Research Collections. However there are also three other curators, who fill academic posts and who look after smaller departmental collections. So even within one institution ‘curator’ means pretty different things. What a curator is and does varies from place to place, but as a rule of thumb seems to be related to the size of the institution and how it is funded. In larger museums, or Nationals funded by central government, curators seem to be much more concerned with research. The smaller an institution the more likely it is that a curator will have less to do with research, and more of a varied job to do. Interestingly, as an aside, these focuses tend to be reflected in the condition of the collection that a curator works with – in places where curators have traditionally been more interested in research the collections might be less well organised, inventoried, catalogued and so on than in smaller museums whose curators have historically been less focused on research but have more of collections management role. Again all this is my perception, and that may be very different to a curator in another museum. That’s the problem with the term. It’s a rabbit hole that once you go down you may never come out of! So – do you need a PhD to be a curator? Maybe in a National Museum, but elsewhere I would argue not. In fact with a PhD there might even be a danger that you become so specialist that you find it harder to get a more ‘general’ job. Will that PhD on Prussian Spoons 1800-1899 help you get a job in a museum when the only Prussian spoon curator job has been taken by the only other person in the world who knows as much about Prussian spoons as you? 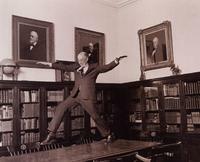 Nick Booth is one of the Curators of Teaching and Research Collections. Hard to say. In 2016, the Art Institute of Chicago hired a MA as assistant curator. She got her BA from China in archaeology. Only two- year training in art history. .